On January 13, 2011 Zein al-Abidine Ben Ali ,ruler of Tunisia since 1987, turned over executive power of Tunisia to his Prime Minister and fled the country after weeks of intense protests by Tunisians fed up with corruption, unemployment and escalating food prices. Demonstrations continue in the county as it struggles to transition. The magnitude of Tunisia’s struggle increases in light of Libyan civil discord as an exodus of 70,000 people enter Tunisia, causing greater instability in Tunisia. The situation on the Libya- Tunisia border where Zakat Foundation of America (ZF) teams are working is reaching a crisis point. An estimated 70,000 refugees have crossed crossing into Tunisia few of them have any place to go and require help with food, water, and shelter. Tunisian authorities are overwhelmed and are using the resources of humanitarian agencies and volunteers to handle the developing humanitarian catastrophe. ZF’s team on the ground at the Tunisian-Libyan border is distributing food and water daily to the thousands stranded. 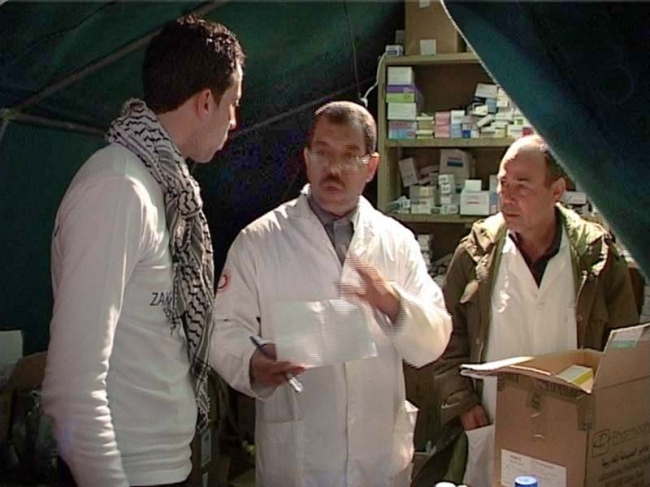 ZF has also provided much needed medicines to support the work of the Tunisian military field hospital that is treating those in need. Shelter and proper sanitation are also severely lacking in the border area and many people are being forced to sleep in the open. ZF is planning to upscale its work in the area with the distribution of blankets and toiletries, once permission is given by Tunisian authorities. It is also focusing its energies on coordinating transportation for the refugees, mostly Egyptians, to return home. The United Nations staff on scene at the border says that there must be an international effort to help people there, many of whom are migrant workers from other parts of Africa and Asia just trying to get to safety and to eventually make it back to their homelands. This work is too difficult for any one government or organization to go about alone. ZF is doing its part to alleviate the pain and suffering of the refugees and asks its donors to be generous in supporting this life-sustaining campaign. Consider donating today to help during this crucial time. Donate now.